Working to pay for college? Trying to figure our how to take classes but keep certain times blocked off? Schedule Wizard is here to help! 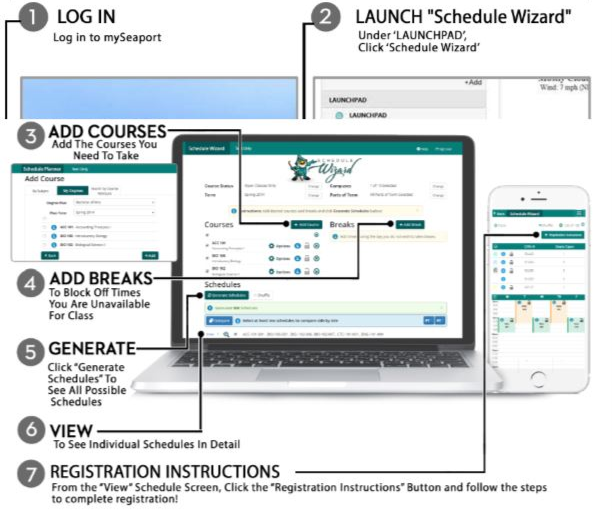 Schedule Wizard is a course registration tool that allows you to choose courses you need, add breaks, and then see your schedule options. Check out your schedule possibilities today!